Welcome to a brand new #AudleySpeaks post. I have recently signed with new agents and I am very excited to join the ‘Champions Celebrity’ family championscelebrity.com. No subject will be off limits…if I’m passionate about a subject, expect to see my thoughts here. I want to see your comments and views, share my page and let’s get talking … use the hashtag #AudeySpeaks when commenting please.. Watching Anthony Joshua dismantle unbeaten Gary Cornish on Saturday from the comfort off my home in California, my initial impression was that AJ is a serious wrecking machine at this level. I like Dylan White and I think he’s a really good fighter and will provide AJ with a stern test but I don’t see him derailing AJ’s ascent at this time. The big thing for AJ will be seasoning, which is something you can’t teach overnight. It’s something that happens in the gym, with the right sparring to move you along at the right pace to master your craft. David showed the concussive power that has brought him 24 KOs in 26 bouts, landing a powerful combination to end things abruptly in the fifth round. 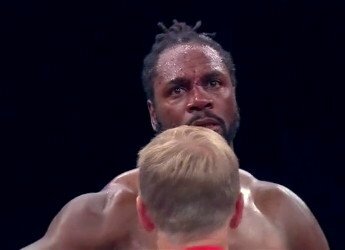 Scheduled matches with British trash-talker and soon-to-be world title challenger, Tyson Fury, have fallen through on two occasions due to injuries suffered by Haye, with the last one occurring 5 days before the bout, when he suffered a cut above his eye resulting in stitches.